If you decided to visit the most popular desert of Jordan and you need a Taxi to Wadi Rum – Jordan Cab is always at your service 24/7/365. Jordan Cab is a leading company that provides best taxi services, transfers and taxi tours in Jordan for over 20 years. Taxi to Wadi Rum with Jordan Cab is a guarantee of quality, safety and best prices. Our company employs only licensed and experienced English speaking taxi drivers, who will make your trip not only impeccable, but also interesting. 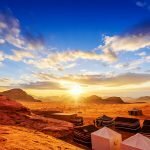 On the way to Wadi Rum, our taxi drivers will share with you interesting historical facts about Wadi Ram and Jordan, give you useful tips on how and where to spend your free time in Jordan, advise the best restaurants and souvenir shops, stop in beautiful places so you can make unforgettable photos. All our taxi transportation to Wadi Rum meets the highest standards: new and comfortable cars of different categories and capacity, always clean and air conditioned vehicles with free Wi Fi. Our services include: services of taxi in Wadi Rum, Wadi Rum taxi tours, transfers and other transportation services in Wadi Rum, Jordan. You can choose the type of transport depending on the number of passengers and your preferences: standard comfort class taxis, business class taxis, safari jeeps, comfortable minivans and buses for groups. Jordan Cab accept individual orders for transportation services in Wadi Rum. When booking a round trip to Wadi Rum, there is a discount of -10%. Taxi tour is an advantageous offer for those who want to visit Wadi Rum landmarks on their own and in their schedule. 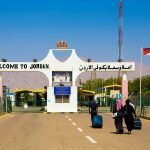 In contrast to tour travel companies – in Jordan Cab you pay only for taxi services, and guide services throughout your Journey to Wadi Rum will be provided by your English speaking driver absolutely free of charge. 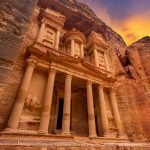 Jordan Cab taxi tours: Taxi from Aqaba to Wadi Rum, Taxi from Aqaba border crossing to Wadi Rum, Taxi from port of Aqaba to Wadi Rum, Taxi from Tala Bay to Wadi Rum, Taxi from Aqaba Airport to Wadi Rum, Taxi from Dead Sea to Wadi Rum, Taxi from Amman to Wadi Rum, Taxi from Amman Airport to Wadi Rum, Taxi from Petra to Wadi Rum. We offer shuttle services at more favorable prices than in Hotels, Airports or Border Crossings in Jordan. Our transfer services to/from Wadi Rum: Transfer to/from Hotels in Aqaba, transfer to/from Hotels in Tala Bay, transfer to/from Port of Aqaba, transfer to/from Aqaba Border Crossing, transfer to/from Amman Airport, taxi to/from Hotels in Amman, transfer to/from Hotels in Petra. Wadi Rum, also called the Lunar Valley is a desert in Jordan, 60 km east of Aqaba. It refers to stony deserts and covers an area of ​​74,180 hectares. In some places, the desert turns into a semi-desert with separate dry trees and shrubs. The highest peak is Mount Um ad Dami, which is 1830 m high. The surface as a whole is uneven, it abounds with local canyons, valleys and uplands. In Wadi Rum films “Lawrence of Arabia”, “Transformers”, “Red planet”, “Last days on Mars”, “Martian” and others. 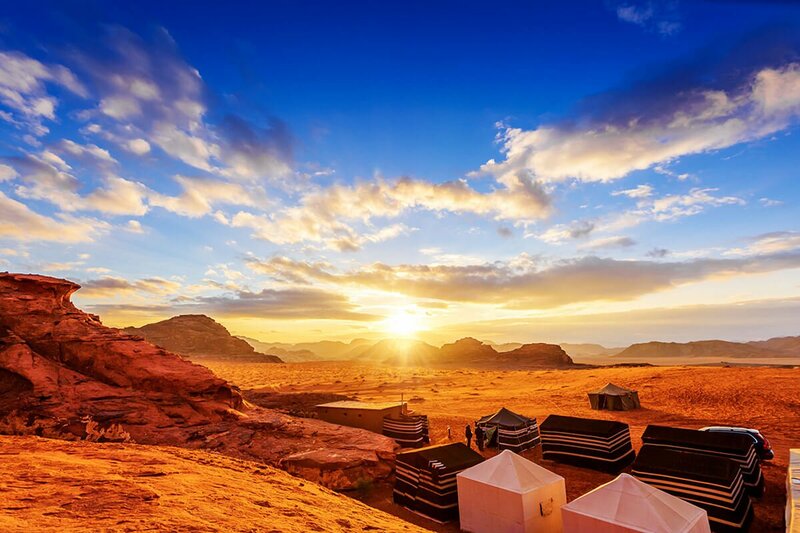 The air temperature within Wadi Rum varies from 32 degrees Celsius in the daytime to 4 degrees at night. The desert is a national park in Jordan. Interest is represented by sights, rocks (for mountaineers), safari tours on jeeps and rock paintings, many of which have not been studied enough. Wadi Rum was inhabited by various cultures that left a memory of themselves in the form of rock carvings.